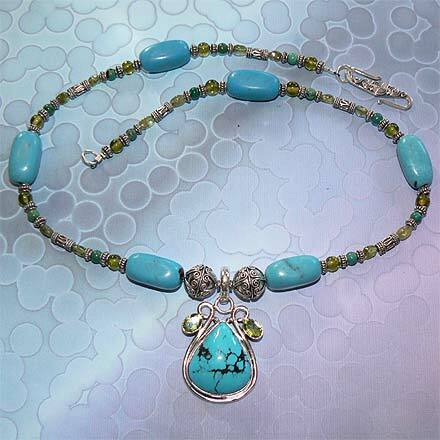 Sterling Silver Turquoise and Peridot Necklace. See Closeup. Sterling Silver Turquoise and Peridot Bracelet. 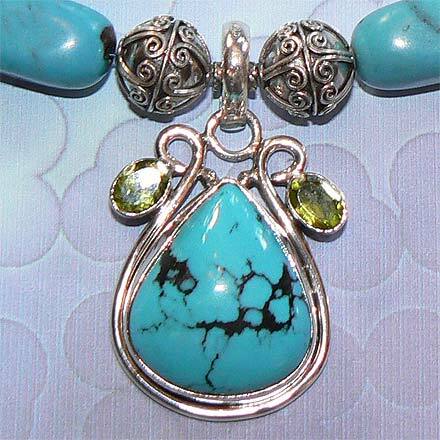 The blue color of this Chinese Turquoise and the yellow color of Peridot isn't quite green, but it dances around it. 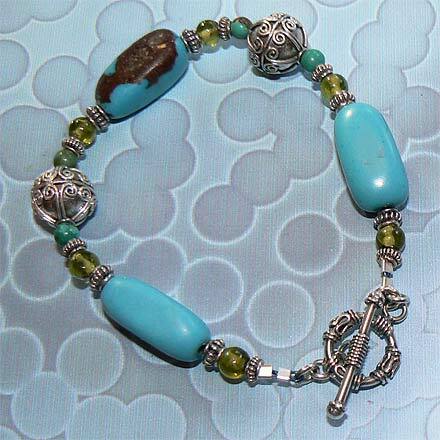 This set is also accented with lots of small wired Silver Bali Beads. The necklace is 20¼" with a 1¾" pendant, and the bracelet is 7.9". For those who are interested in Astrological significances of stones, Turquoise corresponds with Sagittarius and Taurus, and is the birthstone for December, and Peridot corresponds with Libra, and with the month of August.